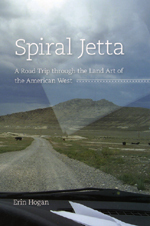 Yet another positive review of Erin Hogan’s Spiral Jetta: A Road Trip through the Land Art of the American West appeared in last Saturday’s Chicago Tribune. Spiral Jetta is part travel essay and part art critique, but it’s the former that Tribune reviewer Ann Fabian focuses on. With her own daughter getting ready to head to Marfa, Texas, “to seek her fortune as an intern at the late Donald Judd’s minimalist art mecca,” Fabian found the autobiographical side of Hogan’s book most useful: Marfa was one of the sites that lured Erin Hogan out of Chicago and off on her auto pilgrimage to the big art of the West. It seems to draw folks (like Hogan and my daughter) worn down by city life. I had to read the book.… We learn about Hogan. She has been working in Chicago too long. She needs to get out of town. She needs to learn to be alone. She heads west in her trusty Volkswagen Jetta, crosses the plains and lands in Utah. She spends the next week looking for art there and in Nevada, Arizona, New Mexico and Texas.… She talks to men in a bar, loses her wallet under a . . . The Chronicle of Higher Education published an article today about the Digital Humanities Summer Institute at the University of Victoria discussing, among other topics, a fascinating talk given by Professor Alan Liu—one of the leading theorists focusing on the intersection between digital technology and the humanities, and the author of several books on the subject including, The Laws of Cool: Knowledge Work and the Culture of Information and the forthcoming Local Transcendence: Essays on Postmodern Historicism and the Database. Writing for the Chronicle William Pannapacker takes note of Liu’s talk for its examination of the increasing use of digital information resources like Wikipedia by students, and the problem of its limitations in terms of scholarly authority. Pannapacker writes: Since it’s clear enough that Wikipedia—and other sites based on reader-generated content—are too large and accessible to police themselves effectively, Liu argues that the responsibility for that policing should be adopted by the already existing structures of authority, including academe in particular. I have to agree: We can’t get our students into the libraries; we hardly go there ourselves anymore, as much as we might love them. The time has just about arrived when information that is not online does not exist . . . Yesterday the Chicago Distribution Center, a division of the University of Chicago Press and one of the nation’s largest distributors of scholarly and professional books, issued a press release announcing an agreement with online content packager Tizra to begin selling subscriptions to online books. The University of Chicago Press itself will be one of the first of the CDC’s clients to begin offering books online through the new service beginning later this summer. From the press release: “We’re delighted to be in the first group of CDC publishers piloting the CDC/Tizra online service,” said Garrett Kiely, Director of the University of Chicago Press. “University of Chicago Press publications appeal to wide audiences: from general readers to educators and scholars. Our readers need to find us from wherever they are, with immediate access to the content they want. Tizra helps us meet that need.” To find out more read the press release, or see this article appearing in today’s Publishers Weekly. . . . Though it might have passed under most peoples’ radar, today, June 25, is the 142nd anniversary of Custer’s Last Stand—one of the most important, and bloodiest, battles of the U.S. conquest of Native American territories. 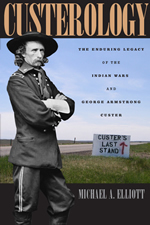 Marking the occasion, Michael A. Elliott, author of Custerology: The Enduring Legacy of the Indian Wars and George Armstrong Custer, has an editorial in today’s Los Angeles Times on the battle and the high levels of patriotic sentiment expressed by many Native Americans today, despite their legendary legacy of resistance. From Elliott’s article: The command of about 600 men Custer led into battle in 1876 included about 35 American Indians, mostly Arikaras but also six Crow and a few Santee Sioux. Some of the Indian scouts would die alongside the 7th Cavalry at Little Bighorn. Others would ride away as the fighting began and spend the rest of their lives recounting what little they saw of the battle. What almost no one knows is that men from the same tribes that fought against Custer would, one year later, be riding alongside the U.S. Army as scouts in the campaign against the Nez Perce—or that the Indian scouts who served the Army in the 19th century . . .
We have posted about Erin Hogan’s Spiral Jetta several times already, but we won’t apologize for posting about it again. It’s a delightful book and it’s provoking some interesting reflections on land art. The latest is a thoughtful discussion on Ian Brown’s CBC radio program Talking Books, with panelists Lawrence Weschler (director of the New York Institute for the Humanities), Monica Tap (a Toronto artist), and Tom Jokinen (a writer in Ottawa). It’s an entertaining and insightful discussion: recommended. A description of the episode is on Words at Large, a CBC Radio site for book-related programs. A link to the audio is on that page; we couldn’t get that link to work, but went direct to the mp3 file. We also have an excerpt and an interview with the author. . . . 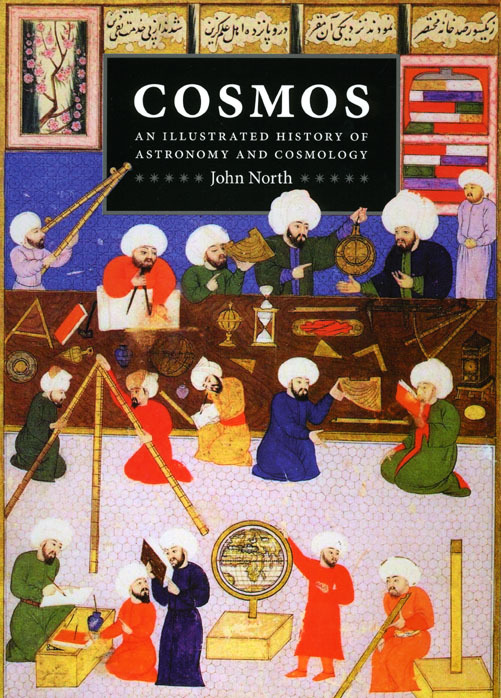 In Cosmos, John North offers a sweeping overview of the two sciences that define our place in the universe: astronomy and cosmology. Cosmos moves from astronomy’s prehistoric beginnings to its use by the great ancient civilizations of Egypt, Greece, the Americas, and Rome. The innovations of master astronomers is described in detail, along with modern-day developments such as the advent of radio astronomy, the brilliant innovations of Einstein, and the many recent discoveries made with the help of the Hubble telescope. This new edition brings North’s seminal book right up to the present day, as North takes a closer look at last year’s reclassification of Pluto as a “dwarf” planet and gives a thorough overview of current research. Read the press release. . . . 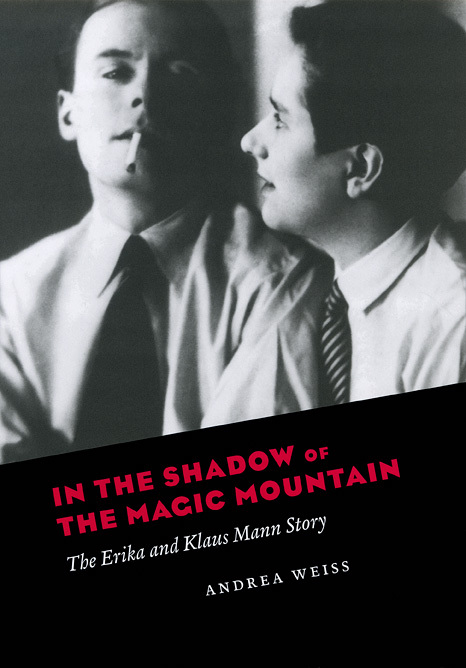 The June 19 Times Higher Education contains reviews of both Andrea Weiss’s In the Shadow of the Magic Mountain: The Erika and Klaus Mann Story and William Davies King’s new book Collections of Nothing. Writing for THE Robert Gillett praises Weiss’s biography of Erika and Klaus Mann for its insightful look inside the lives of writer Thomas Mann’s two oldest children, revealing them to be serious artists in their own right, and their extraordinary yet tragic lives a bellwether for the era in which they lived. And in the same issue reviewer Erika Marie Bsumek comments on the deep psychological self-exploration at the heart of King’s Collections of Nothing. Bsumek writes: Despite the title of this book, King has collected something—and a lot of it. He has collected 44 varieties of tuna-fish labels, 276 varieties of water-bottle labels, and an unstated number of candy wrappers, bacon boxes, cigar bands, luggage tags, envelope liners, cereal boxes and more. All of these things are meaningful to King, for to him they represent the psychological physicality of his life. Emotionally raw and intellectually honest, Collections of Nothing is part memoir and part chronicle of the human impulse to acquire things. King’s own impulse . . .
Robert Pack is, in the words of Mark Strand, “one of America’s most distinguished poets,” and Harold Bloom has praised him as “a humane and eloquent poet who follows Robert Frost and Edwin Arlington Robinson in a major American tradition.” A force in American poetry since the late 1950s, Pack delivers here his nineteenth book of verse, offering many of the elements that his devoted readers have come to admire and expect—both the humorous and the elegiac—while considering themes stretching from biblical concerns to meditations on contemporary science. 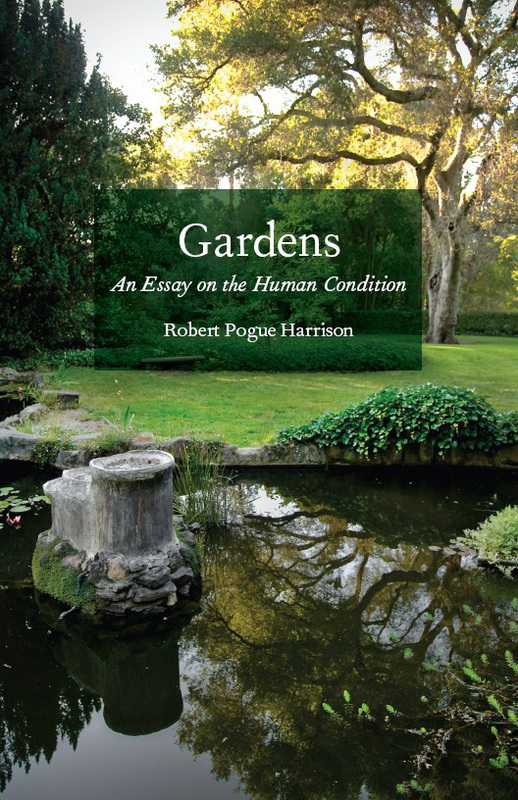 As always, Pack’s poetry, in styles ranging from lyric to narrative, is composed in strongly rhythmic cadences and a diction that is direct and accessible. Ripe with many years, Pack remains a vital presence in American letters, and the power of his poetry still abides. 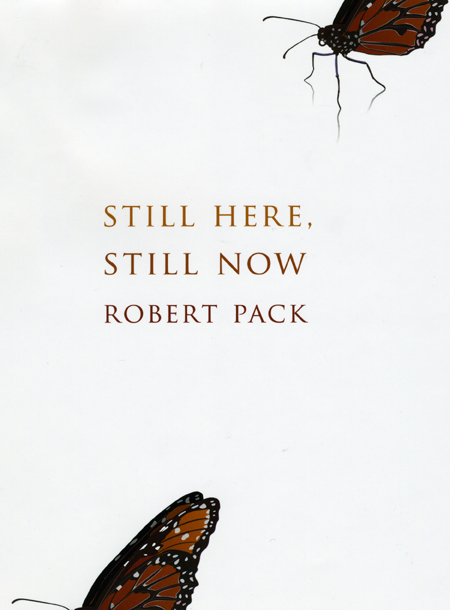 Still Here, Still Now is an affecting and graceful addition to the oeuvre of a poet whose compelling and distinct voice will continue to resonate. Read the press release. . . .